The men’s basketball team’s 71-64 win over Notre Dame resembled previous bouts down-to-the-wire nail bitters. 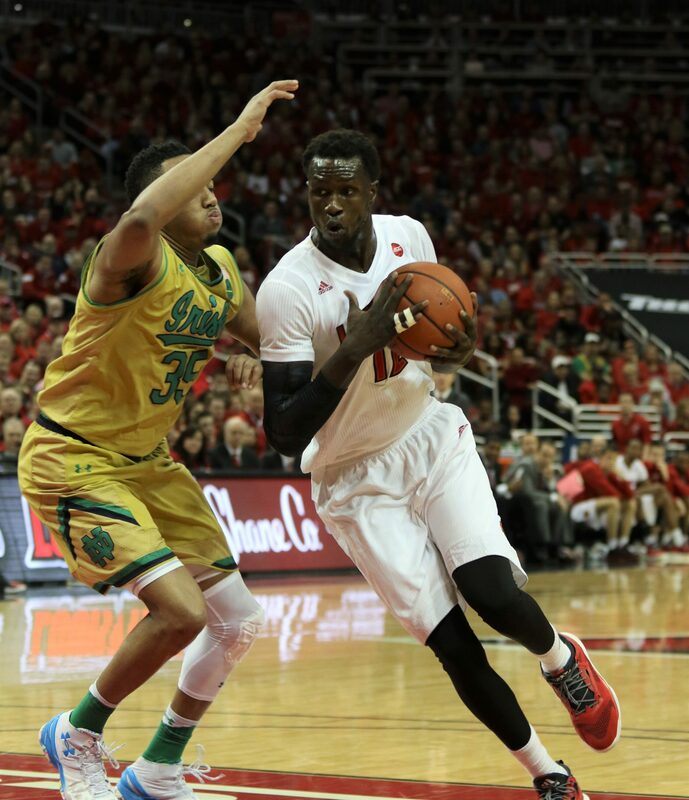 On senior day, center Mangok Mathiang walked away with a career-high 18 points. Averaging 6.9 points per game, Mathiang said to have a performance he did in front of the fans meant a lot. The Sudan native didn’t enter the game with a different mindset, but he was aware of the game he was having. “I was just going with the flow of the game but as the game kept going on, the moments just kept getting sweeter and sweeter,” Mathiang said. Not to be overlooked by the stellar offensive play, Mathiang grabbed 11 boards for his second straight double-double and his third on the season. The impressive showing caps what has been an up-and-down year for Mathiang. Beginning the year as a starter, the center has been in and out of the starting lineup. Mathiang also spent four games sidelined by injury and spent another suspended, which led to the loss of his captain title. Being with the team since 2012, it feels like Mathiang has been on the team forever. During the senior day ceremonies, coach Rick Pitino jokingly said that Mathiang turns 40 this year, but Pitino was all praises after the game. Mathiang has played in 111 games, scoring 511 points and grabbing 533 rebounds. His 141 blocks places him 10th all-time in Louisville history.